Matt wrights ultimate tour was amazing, wallaroo tour to Litchfield including Adelaide river croc feeding was fabulous and value for money and catching a Barra in Darwin harbour a highlight. 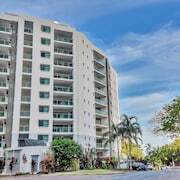 Reasonably large apartment that accommodated our family of 6 (including complimentary Porta Cot for baby).Great location in Darwin city with beach, attractions and shops all minutes walking distance. 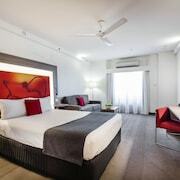 We stayed in Darwin for the V8 racing weekend and the Palms Resort was an ideal location being so close to the city, the bus terminal, the Waterfront Precinct, the Mall, the Hotel Darwin and the Esplanade. Six days went very quickly with excursion to Wetlands, a sunset cruise, Flying Doctor exhibition, a tour of WW2 sights around Darwin and a self-drive trip to Litchfield National Park. 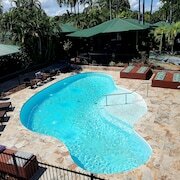 Fantastic hotel in the heart of Darwin, gardens made you think your were on a tropical island, pool was relaxing, security gates for a safer feeling. Very spacious apartment, well equipped kitchen, great location close to shopping and attractions. 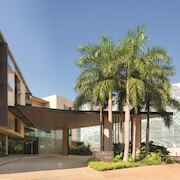 Which hotels are closest to the Darwin airport? Can you find accommodation in popular areas of Darwin? 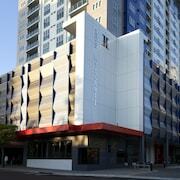 Where to stay near top Darwin attractions? What kind of hotels are in Darwin? 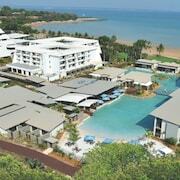 Which hotel chains are in Darwin? 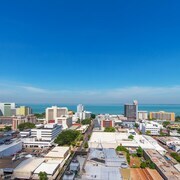 Families will find kid-friendly activities in Darwin, and visitors give high marks for the top-notch restaurants and shopping. Culturally-rich and welcoming, this city will delight tourists with its parks, theaters, and museums. The city is well known for its theaters and museums, and cultural venues include Maningrida Arts & Culture, Brown's Mart Theatre, and Darwin Deckchair Cinema. Families come for attractions such as Crocosaurus Cove, Indo Pacific Marine, and Aquascene. The city's natural setting is picturesque, including the parks and these places to visit: Wave Lagoon, Darwin Waterfront, and Bicentennial Park. 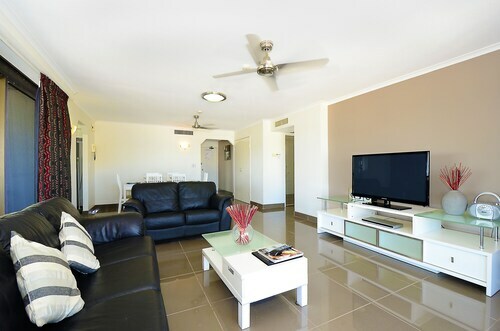 Darwin Waterfront Luxury Suites - This 4-star apartment in Darwin City Centre features a water park, 7 restaurants, and free WiFi. It's a favorite with Expedia travelers for its comfortable beds and location. 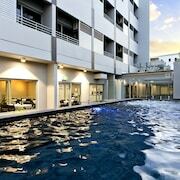 One30 Esplanade Serviced Apartments - Our customers like the pool and quiet location at this apartment. 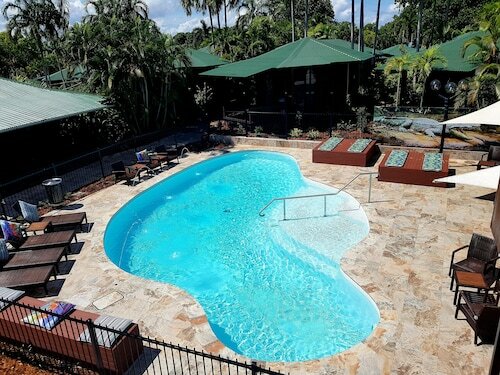 Guests who stay at this 4.5-star apartment in Darwin City Centre can enjoy access to 2 outdoor pools and free parking, along with an in-room kitchen. 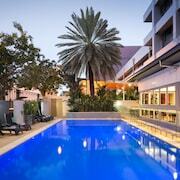 Rydges Palmerston - Darwin - This 4-star hotel features a restaurant, an outdoor pool, and free WiFi. Expedia customers like its overall value and pool. To venture out into the surrounding area, ride aboard one of the trains from East Arm Darwin Station. Darwin might not have many public transit choices so consider a car rental to maximize your time. Darwin sits at the very tip of Australia’s Northern Territory, and it serves as one of the most cosmopolitan centres of the country. Locals in the area come from more than 60 nations, and cultural festivals are no stranger to the city. There is a higher concentration of saltwater and freshwater crocodiles in the Northern Territory than anywhere in the world, and you can get up close and personal with these creatures at Crocosaurus Cove. Cruise the Mary River Wetlands, take a boat tour of Darwin Harbour, and visit the Mindil Beach Market on a Thursday or Sunday evening. A world of wonder awaits you in Darwin, where indigenous culture and incredible animals are all well within reach. The Museum and Art Gallery of the Northern Territory can provide you with an in-depth understanding of the region’s rich history, while Crocosaurus Cove offers a firsthand look at some of the sea’s roughest reptiles. If history is your area of interest, be sure to check out the magnificent multimedia show at the Defence of Darwin Experience. It’s here where you’ll have the opportunity to hear first-person accounts from individuals who took part in protecting their country during the dark times of World War II. For those who fancy flowers, the George Brown Darwin Botanic Gardens is a sprawling, 42-hectare slice of land that serves to display flora that grows locally, as well as from faraway lands. The Mindil Beach Sunset Market marks the ideal spot to stock up on souvenirs or treat your palate to the local cuisine. To top off your adventure, spend some time exploring the local parks. Head to Bicentennial Park, and then don’t miss out on the chance to romp around the ever popular Charles Darwin National Park. Due to its tropical savanna climate, Darwin is home to only two separate seasons each year, but the median temperature remains relatively consistent from one year to the other. The city’s dry season, which spans from May until September, offers idyllic, sunshiny days and infrequent instances of precipitation. Meanwhile, the wet season welcomes monsoonal storms and even the occasional cyclone under near-constant cloud cover. This area also receives more lightning storms than nearly any other area of the continent. During the wintertime, most thermometers in Darwin read between 19 and 25 degrees Celsius, while the steamier summers rarely stray outside of the range from the mid-20s to the low-30s. 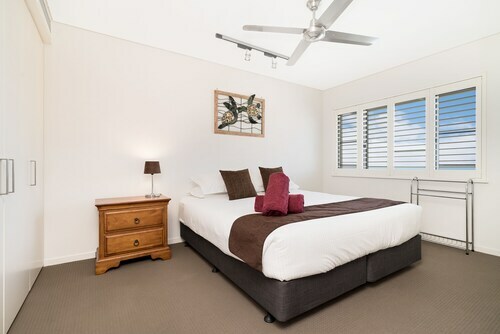 Darwin accommodation includes budget hotels, backpacker hostels, private apartment rentals, luxury resorts, and much more. You can even stay at a wilderness retreat in a safari suite and take in all that the local bush landscape has to offer. 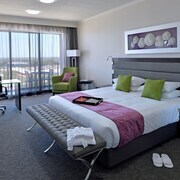 Whether you are watching your budget on holiday or want to indulge in the finest accommodation, the Darwin hotels found on Expedia.com.au can meet your needs and keep you comfortable. You can arrive in Darwin via the Darwin International Airport (DRW), by car, or using train service. Once you get here, car hire is available; save time and money by booking both your car rental and hotel here on Expedia.com.au. The mean temperature in Darwin is consistent throughout the year, generally hovering between 30 and 32 degrees Celsius. If you want to avoid rainfall, visit between June and August. Darwin is teeming with fresh produce and seafood, so don’t leave without enjoying the local fare. Dine by the harbour or near the beach to get the freshest catch and combine your dinner with a spectacular view. Whether you are off on an adventure to meet some crocs, want to have a quiet retreat by the water, or can’t wait to go bird watching in a monsoon forest, Darwin won’t disappoint. From incredible dining to comfortable accommodation, you can find every ingredient to a successful holiday in Darwin. 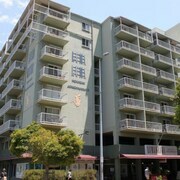 Search for hotels in Darwin right here on Expedia.com.au. Narrow down your options by hotel theme, type, and location, and book your next holiday in just minutes. 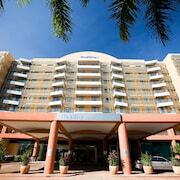 What are the most popular hotels in Darwin? 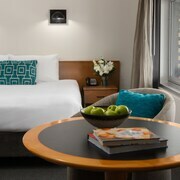 Are there hotels in cities near Darwin? 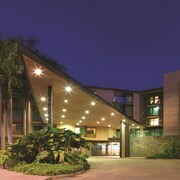 Explore Darwin with Expedia.com.au’s Travel Guides to find the best flights, cars, holiday packages and more!